The weather is cooling down and the leaves are changing – the fall season is here! After making our Fall in Love Digital Scrapbooking kit last week I thought I would share some scrapbook title ideas for fall and autumn for you to use on all your autumn digiscrap layouts! 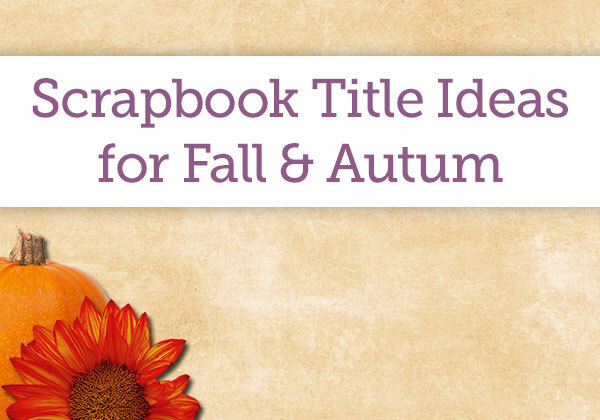 Do you have any ideas for autumn scrapbook titles you’d like to share? We’d love to hear them in the comments section below!